Goodreads’ Book Description:Twenty-year-old Clementine Avery doesn't mind being called bitchy and closed off. It's safe, and after being burned by her high school sweetheart and stalked by a professor her freshman year of college, safe sounds pretty damn good. Natasha’s Experience:I should start off by saying that Lex Martin is now one of my one-click authors. Seriously, I loved her writing, probably because it was so relatable and realistic. I got this book for free when it was on sale for about two days last week and thought, “Okay, I love me some free books but I have SO much to read so I’ll hold off on it for a bit.” I’m SO happy I didn't take my own advice and decided to read the entire book in one sitting. 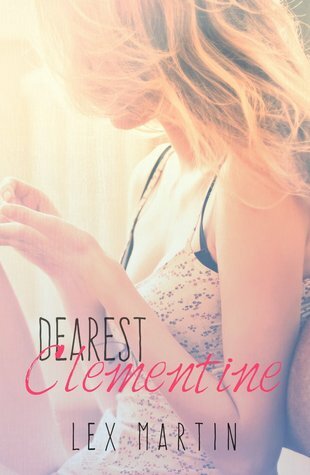 If it was physically possible to inhale a book, that’s probably what I did to Dearest Clementine. I loved everything about Clementine’s character, from her being moody and sassy to her freaking out about taking a romance writing course in college. I especially liked her relationship/friendship with Gavin Murphy. Ugh, Gavin is going to ruin me for everyone else. How am I supposed to find a perfect college boy who is respectful, funny as hell, and an extremely talented musician? As far as secondary characters go, I really enjoyed reading about her roommates and her twin brother because they added so much to the story and were such likeable characters to get to know. This book had me on a rollercoaster the entire time. I don’t think I’m normally a huge fan of suspense, but I was on edge for a while with this book and I didn’t mind at all. It gave me something to look forward to and obviously had me avoiding contact with everyone outside of the book. Ultimately, if you want to fall in love and sit on the edge of your bed/seat/favorite reading couch, then go and get this book, ASAP. P.S. it's on sale now for only $1.99 so now is the perfect time to grab it!